Earlier this week, traffic enforcers in Lipa City began distributing slips of paper to drivers of Public Utility Jeepneys (PUJs) saying that there would be an experimental rerouting of PUJs starting yesterday. I went uptown this morning and saw the experiment first-hand for the first time. I come into the city from the west, so I only saw how the Batangas-, Lemery- and Mataas-na-Kahoy-bound jeepneys were rerouted. These were made to turn back for the return trip at the rotunda in front of UCPB or just past the Redemptorist Church. There was a bit of a build-up as vehicles slowed down to turn at the rotunda; but for a Saturday morning, it was not bad at all. Inside the city proper, I liked what I saw. For the first time in years, one can actually see the side-roads leading to the public market. I found this particularly remarkable since it was a Saturday morning. Why this has never been tried for those PUJs coming from the west, this I have no idea whatsoever. It is worth a try, anyway, if you ask me. At any rate, I am for the record quite happy already with the scheme that they are currently experimenting with. Traffic along the main avenue was also remarkably light and, more importantly, flowing. Were it entirely up to me, I would have banned tricycles as well. In fact, whatever traffic there was in the side-roads was invariably caused by these pesky little modes of transport. There must be as many tricycles in Lipa as there are celestial bodies in the Universe. On the other hand, I liked what I saw because I have always been a walker. I have always loved walking and my idea of walking distance has always been longer than that of most other people. I will never pay minimum fare when my own two feet can take me to my destination comfortably. I can imagine, fair enough, that there will be those not too pleased as I was with the experiment. Elderly folks coming from the market with their heavy baskets will probably not feel too happy about the walk. Tricycle drivers will be among those to benefit the most from the rerouting. There will be passengers who will be none too happy about boarding one of these; partly because it adds to the original fare and partly because tricycles in the city do sometimes charge more than they ought to. At the end of the day, any acts of government in a true democracy should be of benefit to the majority of the citizenry; and whether the new scheme is, this I am in no position to answer. Determining who benefits the most will also be difficult because the number of people in the city proper is always inflated by those who are just there for the day or those who are just passing through. Something that can probably be explored as an alternative scheme if there is an uproar from commuters affected by the experiment will be to allow the routing of some jeepneys into SM, at least those coming from Batangas, Lemery and Mataas-na-Kahoy. The current route which has the Lipa City Public Market as an endpoint has been there for as long as I can remember; and I have been on this earth for more than half a century. This was relevant once upon a time when everyone needed to go uptown to the city proper because there was nothing else outside of it. Allowing some jeepneys to branch off from the main route into SM makes sense in several ways. 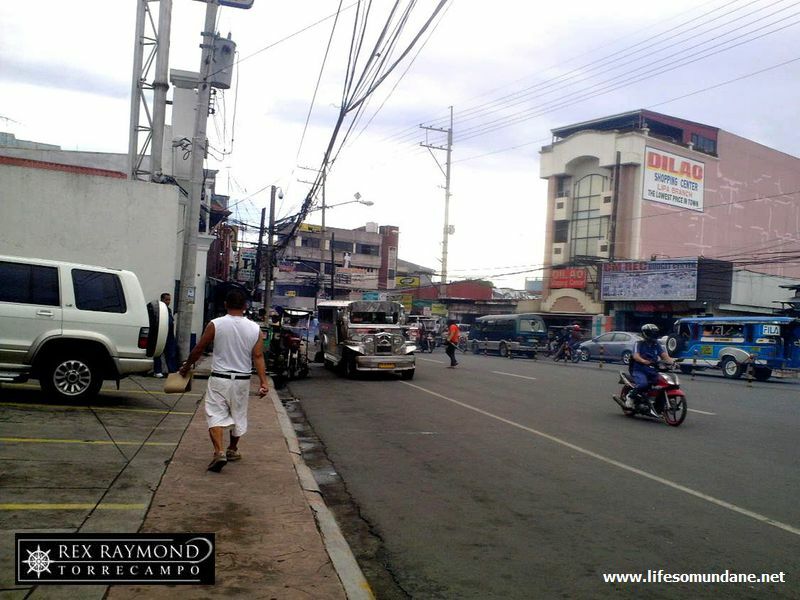 First, the road is wider and can accommodate more vehicles than any roads on the way to the public market. Second, it provides a direct route not only to SM but, more importantly, the grand terminal. Multicab drivers will probably not be too happy with this. That said, these multicabs are too cramped inside and never look like they stand a chance in case of accidents. Besides, they will in most likelihood still retain passengers bound for the city hall, the Lipa campus of the University of Batangas, PKI and other destinations north of SM. Third, a route to SM becomes relevant to the many people who get off at McDonald’s to get a connecting ride to SM and beyond. Finally, there will be fewer PUJs heading uptown to the city proper, something that will also be beneficial to drivers because there will be fewer jeepneys jockeying for too few passengers. That this is workable I have no doubt whatsoever. After all, there are as many PUJs coming from Tanauan who head straight to Robinson’s Place as there are that drive straight on into the city proper.